Sick of walking in the paint pan, spilling paint on the carpet or always reloading the paint roller? Toss the paint pan and replace it with a five gallon bucket and a roller to make painting jobs easy and fast. You'll also need a Paint bucket grids for the whole setup. Mix and roll paint from these 5 gallon paint buckets. This white 5 gallon bucket begs to be filled with colorful paint as your durable painting-job-sidekick. 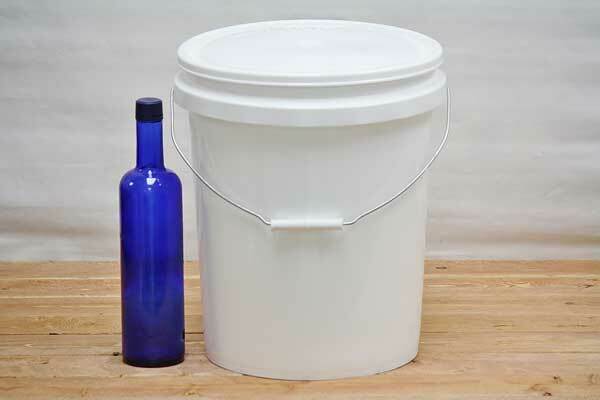 This paint bucket is made with solvent resistant HDPE food grade plastic. Top reinforced rings prevents rim distortion. Safe for use with all paints, pastes, adhesives, water sealants, printing inks, and asphalt coatings. Order with or without snap on storage lid. Paint like a professional. Roll paint from a 5 gallon paint bucket onto walls. Made in the USA.